Protecting your drinking water supply is very important and it can help to prevent serious health problems. You have to make sure that the water coming from your well is safe for use. Pollution is a serious problem that affects the quality of well water and you have to make sure that you know how to identify and avoid potential problems. Pollution can come from different sources including rainwater or snowmelt. The runoff picks up pollutants as it moves before depositing them into the water source. When polluted runoff gets into the well, it can be difficult and costly to clean it up. This means that it is easier to take action to deal with the situation before it becomes a problem. Knowing how to reduce the pollutants and to prevent them from getting into the water source is very important. Following are some steps that can help you to reduce pollution around the home when using well water. 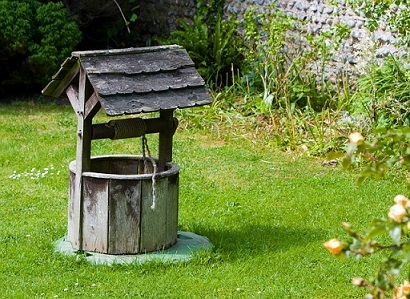 If you have a well on your property, it is important to plan your garden and yard well to get the best results. Make sure that you choose the right spot for each plant. Native and sustainable plants are able to tolerate the site conditions that are specific to your land. This helps to reduce the need for using inputs like irrigation water, fertilizers and pesticides. It is also a good idea to recycle yard waste such as leaves, grass clippings, and plant prunings that are great for mulch or for compost. Yard waste can become a pollutant when it washes into water sources. You need to be responsible when using fertilizers or pesticides in your garden. Make sure that you get soil tests before using the products and use them sparingly or responsibly. If you must use the products, consider using organic fertilizer. If you have pest problems, make sure that you identify the pests and use non-chemical treatment options where possible. It is a good idea to measure the area that you need to treat or fertilize and avoid handling or applying the chemicals near your water well. When watering your garden or yard, you need to take measures to ensure that you do this correctly. Measure the weekly rainfall using a rain gauge before making up the difference you need with irrigation. It is recommended that you water the yard during the early morning hours before it gets too hot. A long and slow watering every week is adequate and if you have an inground sprinkler systems make sure that it has a manual control option. Use drip irrigation and low-flow hoses for beds and vegetable gardens. When working on your landscaping, consider reducing the paved surfaces. This will help to decrease the runoff from your yard. You should also be careful about direct roof runoff that can soak into the ground. Find out the best ways to reduce soil erosion in your yard and garden. You can protect the soil using mulch, perennial vegetative cover, crushed stone or winter cover crops. You can make sure that your water is safe through the simple protective measures.